Uber should treat its drivers in the U.K. as employees, paying them at least minimum wage from the moment they are available to work until they log off and providing them with paid time off, a London employment tribunal has ruled. The drivers and Uber must now make proposals to the judge how they will comply with the ruling, made following a preliminary hearing. What they agree will have consequences for Uber and businesses like it across the U.K. It could push costs up, increasing Uber's incentive to develop its own self-driving car. Drivers and other on-demand workers around the world are finding that the flexibility to choose their working hours touted by Uber and companies like it comes with a high cost: The absence of other benefits often taken for granted in other jobs. For the two test claimants in the London case, former Uber drivers Yaseen Aslam and James Farrar, those missing benefits included paid time off for vacations or illness, and a guaranteed minimum hourly income during periods when they made themselves available to Uber yet were not offered paid work. The judge found that Uber's control of pricing, of the route taken by the drivers, and of key information about passengers made it an employer. "We are satisfied that the supposed driver/passenger contract is a pure fiction which bears no relation to the real dealings and relationships between the parties," the employment judge wrote. 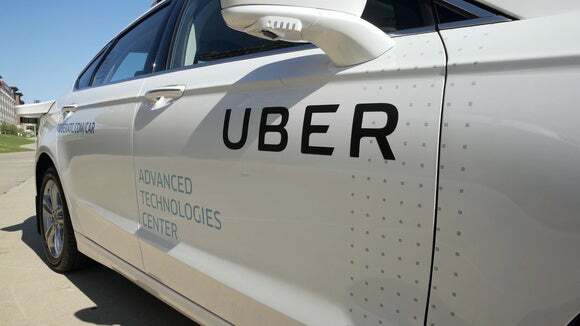 Part of Uber's claim that the contractual relationship was between driver and passenger revolved around documents prepared by Uber that had the appearance of invoices issued by drivers to passengers. These were nothing of the sort, the tribunal found. The documents carried no information about the passenger other than their first name and were never seen by the passenger. As a result, they could "not fulfill the ordinary function of an invoice, namely to present a formal request for payment to a customer," the judge wrote. Regarding working hours, the judge found that being available to carry passengers was a key part of the service drivers offered the company, and they should be compensated for this service. The time spent working should be counted from the moment the drivers arrived in their agreed working territory and logged in to the Uber app, and continue until they left the territory or logged out, whether or not they were carrying passengers during that time. The ruling will put the squeeze on Uber's ability to take a 25 percent cut of fares, while still offering rides at a price low enough to attract passengers.